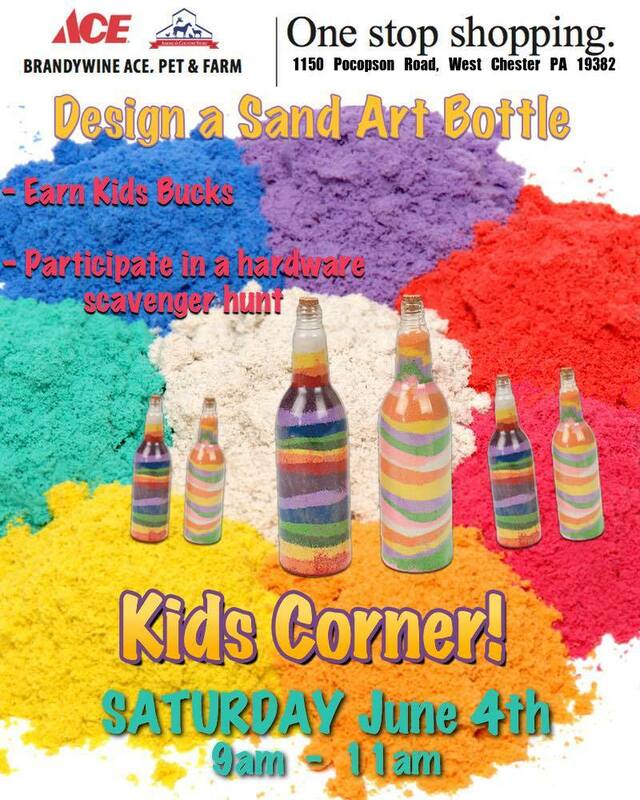 Design a Sand Art Bottle on Saturday, June 4th 9am-11am at Brandywine Ace Pet & Farm Kids Corner. Click here to sign up. It's going to be a real fun day!